Optimal working dilutions should be determined experimentally by the investigator. 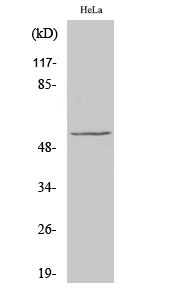 Suggested starting dilutions are as follows: IHC-P (1:100-1:300), IP (2-5 ug/mg lysate), ELISA (1:20000). Not yet tested in other applications. 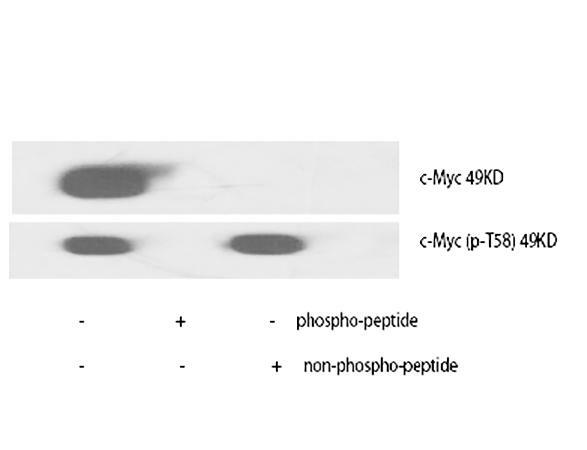 The protein encoded by MYC is a multifunctional, nuclear phosphoprotein that plays a role in cell cycle progression, apoptosis and cellular transformation. 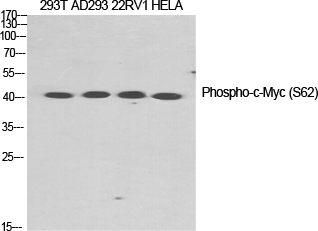 It functions as a transcription factor that regulates transcription of specific target genes. Mutations, overexpression, rearrangement and translocation of this gene have been associated with a variety of hematopoietic tumors, leukemias and lymphomas, including Burkitt lymphoma. 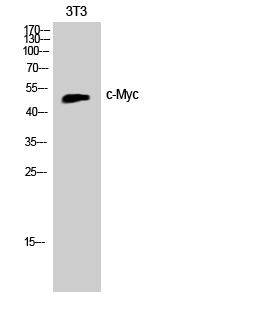 There is evidence to show that alternative translation initiations from an upstream, in-frame non-AUG (CUG) and a downstream AUG start site result in the production of two isoforms with distinct N-termini. 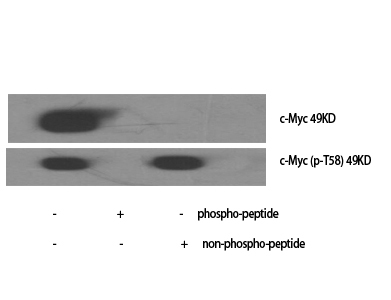 The synthesis of non-AUG initiated protein is suppressed in Burkitt's lymphomas, suggesting its importance in the normal function of this gene. 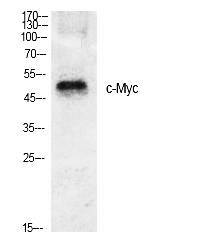 Phospho-c-Myc (S373) Polyclonal Antibody detects endogenous levels of c-Myc protein only when phosphorylated at S373.